If you are interested in applying for a nursing program, you may want to consider taking the Test of Essential Academic Skills (TEAS). TEAS is a prerequisite for many universities, colleges, and other educational institutions because studies prove that there is a relationship between a student’s TEAS scores and their performance in the nursing program. Developed by Assessment Technologies Institute (ATI), experienced nurses, and allied health professionals, TEAS evaluates students’ foundational knowledge and practical skills related to the nursing field. This exam is divided into four sections, reading, mathematics, science, and English and language usage. The English and language usage section of TEAS challenges students’ grammatical and sentence structure skills, as well as their ability to make predictions based on passages. Students who are interested in nursing and allied health programs take the Test of Essential Academic Skills (TEAS) to gain admission into the program. It’s common for schools to require TEAS scores as a prerequisite, so students are encouraged to learn more about their program’s eligibility requirements. 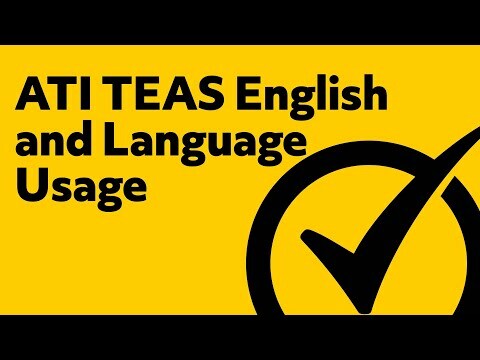 To register for the Test of Essential Academic Skills (TEAS), log on to the ATI Testing website. After an application is approved, students are able to schedule their test date and pick a location. The TEAS testing locations include PSI testing centers and registered schools. The TEAS test fee varies with each location, but prices usually range between $60 and $140. How many questions are on the TEAS English and Language Usage exam? The TEAS consists of 170 multiple-choice questions. The exam is divided into 4 sections: mathematics, science, reading, and English and language usage. The English and language usage section has the least amount of questions – 28 questions. Each section has a set of pre-test questions that are not scored. How long is the TEAS English and Language Usage exam? 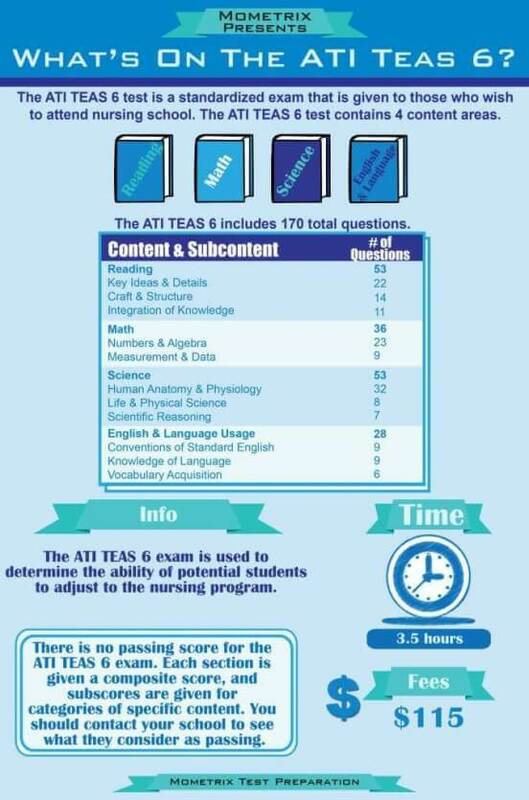 Students will have 209 minutes (3 hours and 29 minutes) to complete the TEAS exam. The English and language usage section is 28 minutes, with 28 questions. While calculators with special functions are not allowed, students may use four-function calculators, which are provided by the test administrators. What topics are on the TEAS English and Language Usage exam? What is a passing TEAS English and Language Usage score? Students are encouraged to learn more about their program’s score requirements because Assessment Technologies Institute (ATI) does not determine the pass/fail score. After taking the TEAS, students will receive a total score, which is the accumulative score of all 4 sections of the exam. Students will also receive the separate scores for each section. It’s common for the programs to require students to earn a total score of at least 60%-70%. Nursing programs across the country are highly competitive, so students are encouraged to score higher than the program’s minimum score requirement. Bring a photo identification card that includes your signature and permanent address. It must be an unexpired government-issued ID, so credit card photos and student IDs are not accepted. Please plan to arrive at the testing site at least 15 minutes early. Students who are more than 15 minutes late may not be able to take their exam and forfeit their exam fee. Before the exam begins, a test administrator will provide you with scratch paper and a four-function calculator. Calculators with special functionalities are not allowed. You will be able to take a 10-minute break after the math section of the exam. If you decide to take any other breaks, you will have to use some of your test time. 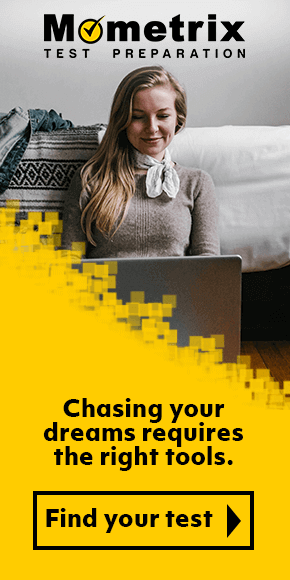 Preparing for an exam that can change the course of your career can be overwhelming. So our test experts carefully studied the TEAS to figure out the key concepts and test strategies that will help you succeed on test day! 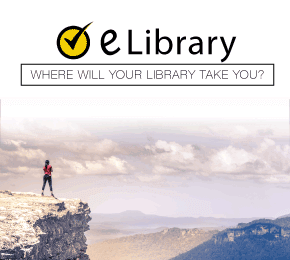 The Mometrix TEAS study guide provides in-depth explanations of all four sections of the exam, reading, science, mathematics, and English and language usage. This comprehensive study guide also includes practice tests and free video tutorials. The Mometrix TEAS Study Guide has everything you need for effective study sessions! To increase your preparedness, you can quiz yourself using the Mometrix TEAS Flashcards. These portable flashcards, which also cover all four sections, are perfect for studying on the go! You can look forward to easy-to-read descriptions of concepts like The Action Potential and the Shell Formula. Advancing your education is not always the easiest thing to do, so we want to congratulate you on taking the first step! We are confident that our TEAS prep materials will help you earn a high score! We look forward to hearing your success story. Good luck!